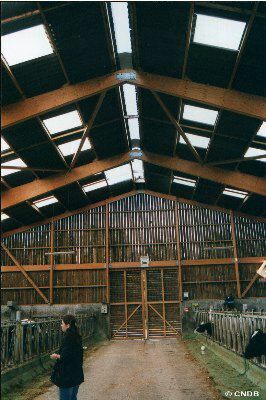 Address : INA Paris-Grignon route de Beynes 78850 THIVERVAL- GRIGNON YVELINES (FRANCE). Photography : © CNDB . 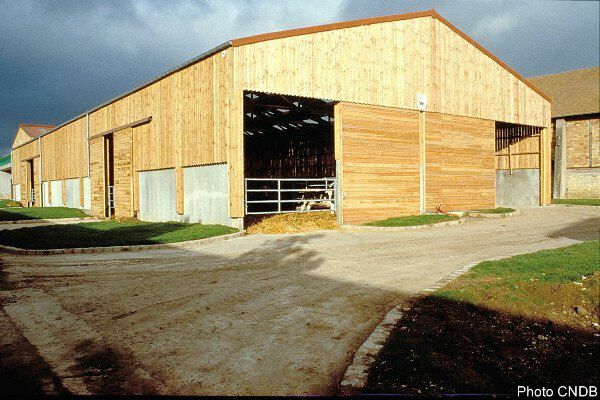 This educational dairy farm, open to the public (teachers, researchers and agricultural professionals) puts the emphasis on a diversity of timber structures and finishes. 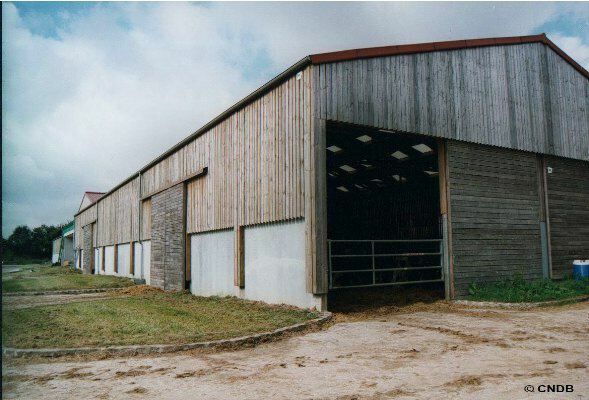 Three distinct elements present three types of structure and interior design. 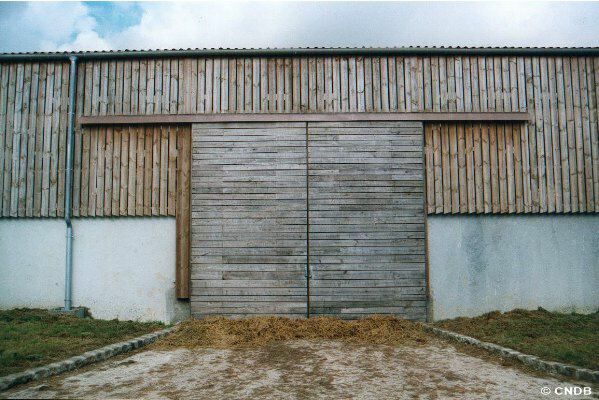 The pen-style stables use frame components constructed using box elements in laminated timber. 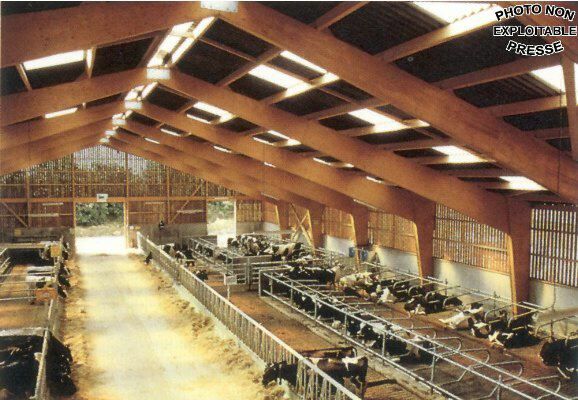 The straw covered stable area is situated underneath a trellis type structure in circular timber sections. 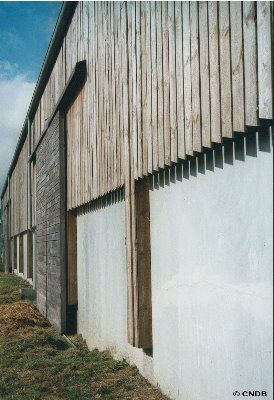 Finally, the reception building and the circulation zones exploit a glued laminated timber structure.